Read on to learn how to apply for unemployment benefits in North Carolina and to find out answers to frequently asked questions. Open your unemployment claim online with the North Carolina Division of Employment Security (DES). Register for work with NCWorks Online. Each week, file a claim online or call 888-372-3453 for each calendar week of benefits you request. The last step confuses people the most. What does "actively seek work" really mean? The North Carolina DES defines this as "doing those things that an unemployed person who wants to work would normally do." You will need to contact at least five different potential employers each week and make a written record of your search for a periodic review. Failure to do make five employer contacts in a week will result in a delay or denial of benefits for that week. It's a good idea to start this process as soon as you can. Like most states, North Carolina has a "waiting week"—the first week of unemployment where you'll receive no benefits. When you apply, be sure to know your dates of previous employment and the pay you earned at that job. How Long Do I Have to Work to Qualify for Unemployment in North Carolina? The North Carolina DES uses a “base period” to determine eligibility for unemployment benefits. The base period is a four-quarter (one year) time frame. Qualified earnings (6 x North Carolina Average Weekly Insurance Wage) in the base period are what determine your monetary eligibility. How Much Will I Receive for Unemployment Benefits in North Carolina? The state calculates the weekly unemployment benefit amount by adding the wages in the last two base period quarters, dividing by 52, and rounding to the next lower whole dollar. You must have at least $780 in the last two quarters to establish the minimum weekly benefit amount of $15. The maximum weekly benefit amount is $350. This is probably the most common question about unemployment benefits in North Carolina. In short, the best answer to this question is no. The state DES says that applicants must be unemployed "through no fault of their own." That means that if you voluntarily quit a job, you can't receive unemployment benefits. 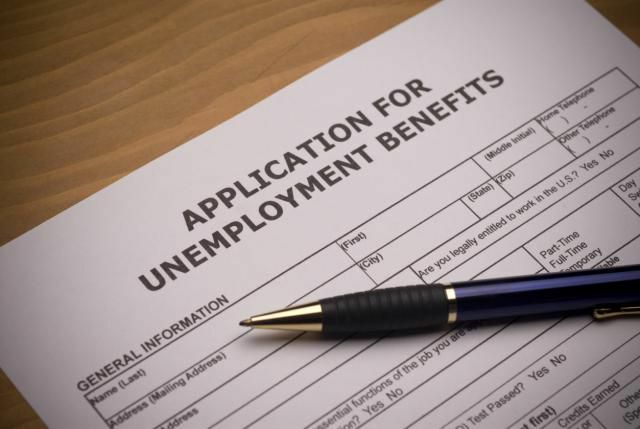 Can I Be Denied Unemployment Benefits in North Carolina? You certainly can, and there are several reasons why you might be denied. As mentioned earlier, if you quit your job voluntarily, you won't receive benefits. Also, you will most likely be denied if you were fired for violation of company policy or misconduct, have limited hours you can work, are not eligible to work in the United States, or were involved in a strike. If you are denied benefits, you may appeal. Do I Have to Pay Taxes on North Carolina Unemployment Benefits? You will have to pay both federal and state taxes. You're actually given the choice to have taxes withdrawn each week to avoid having to pay a large amount later. There is a certain amount that's not taxed, however. If you need additional help or have questions, call the North Carolina DES at 888-737-0259 from 8 a.m. to 5 p.m. Monday through Friday or visit its website.